From the moment people arrive in Rotorua they know they're somewhere quite different. There is a scent of sulphur in the air, and at nearby geothermal hotspots there are geysers spouting, acrid-smelling mud pools bubbling and belching and warm geothermal springs and ponds that create a kaleidoscope of color. 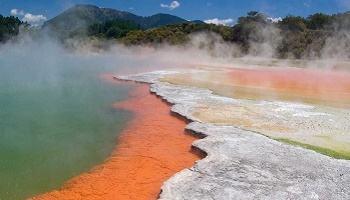 The Rotorua region is fast becoming known as nature's spa of the South Pacific. Visitors can begin their journey by relaxing with a soak in the healing waters of the geothermal hot springs, indulge in a selection of therapeutic spa and health-massage therapies, or a rejuvenating dip in a mud bath. 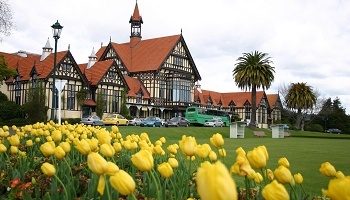 Rotorua boasts a strong relationship between Maori and European cultures. 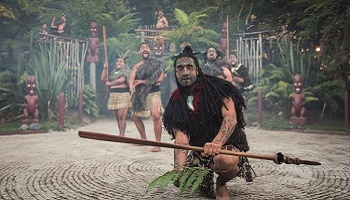 With one third of New Zealand's population Maori, Rotorua is a strong hold of Maori culture. For the Maori people, it is considered an honor to share their cultural treasures with visitors, whether it be through one of the many Maori performances where stories are relayed through beautiful song and dance, taking in a traditional g and dance, taking in a traditional hangi feast, where food is cooked below the ground in an earthen oven, or visiting a Maori village to view a wide range of traditionally crafted arts.